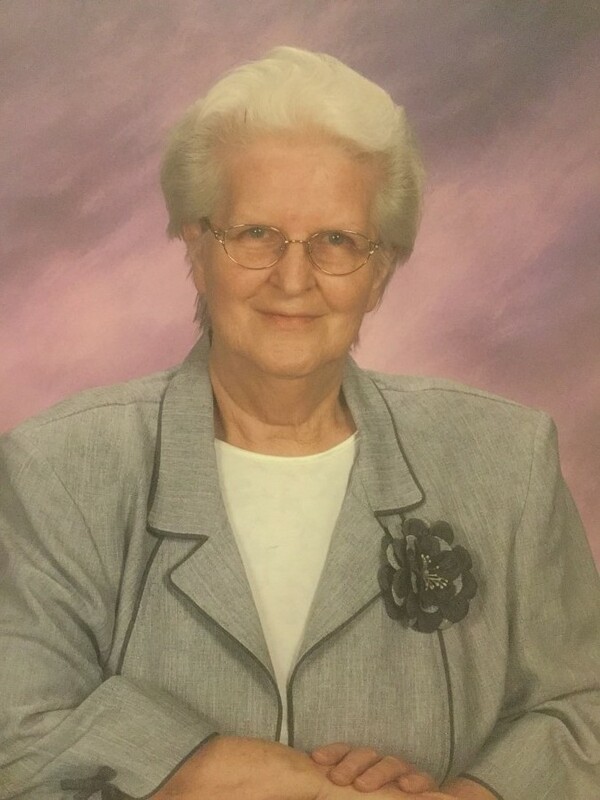 Miriam E. Specht, 82, of Front St. Sunbury, PA passed away at Evangelical Community Hospital on November 30, 2018. Miriam was born on December 20, 1935 in Washington Twsp. (Whitetop), PA the daughter of the late Crayton H. and Alice E. (Klinger) Specht. Miriam lived a full and fulfilling life after her graduation from Freeburg High School in 1953. To fund her growing family and supply for her many ministries, she worked as a seamstress in the garment industry. Miriam’s faith was precious to her and she shared her faith within her church at Otterbein UMC, singing, serving and teaching; she was the 1977 Mother of the year. Miriam took her faith to the world as she ministered with the Yokefellows at the Lewisburg Prison. She also did missionary work in Haiti, traveling there seventeen times teaching English, assisting with their health needs (they called her Dr. Miriam), and worshipping together with them. Miriam was crafty, making doll clothes embroidering, and crocheting. She also enjoyed reading doing working in her flower beds and traveling. Miriam is survived by her three daughters, Marilee and George Hauck of New Berlin, Shirley and John Moyer of Danville, Judy and Michael McHale of Sunbury, six grandchildren, nine great grandchildren, three great great grandchildren and sister Ruth Cook. Miriam was preceded in death by son in law Daniel Kovilaritch and eight siblings. Friends and family may visit at the David T. Zweier Funeral Home, Inc. at 157 Chestnut St. Sunbury, PA. on Thursday, December 6, 2018 from 10 to 11 am. The Funeral service will follow, officiated by Rev. Leslie Halchak. Interment will follow at Globe Mills Cemetery, Kreamer, PA.
Memorial contributions may be made to Michael J. Fox Foundation PO Box 5014 Hagerstown, MD 21741-5014. Condolences may be made at davidzweierfuneralhome.com.